I have a Alpine PXA-H800, Rux-C800 for sale. Alpine PXA-H800 with RUX-C800 controller. Used but in excellent condition, in original box. Was installed in SQi competition vehicle, but ran for less than 2 months. Car gone now, don't need the system. Also can include Alpine IVA-W505 which has been modded for toslink optical output. This saves buying the hard-to-find alpine optical cable and makes serviceability easier. 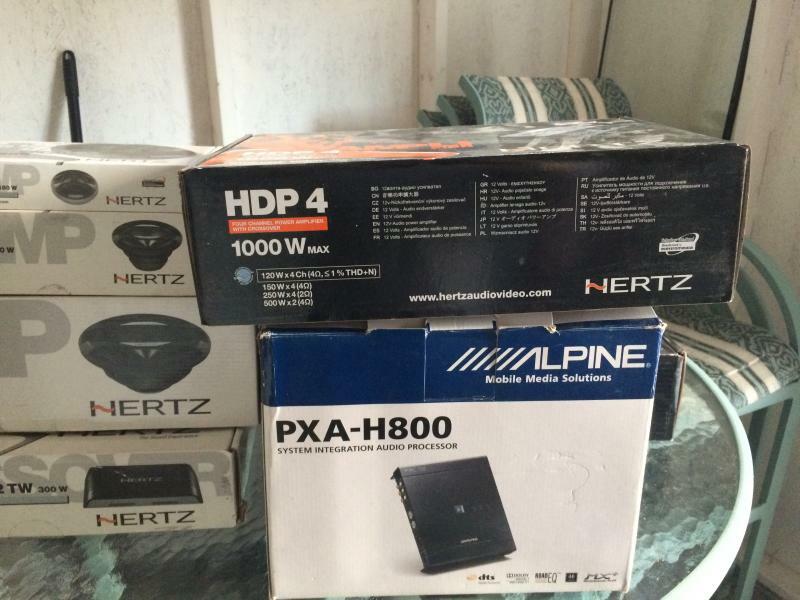 See my other ads for Hertz MLK3PA 3-way components, and Hertz HDP4 amplifiers. Would prefer to make package deal, make me your best offer.